Gingerbread is a popular Christmas treat all over the world. You can even get the wonderful smell of gingerbread from a candle. 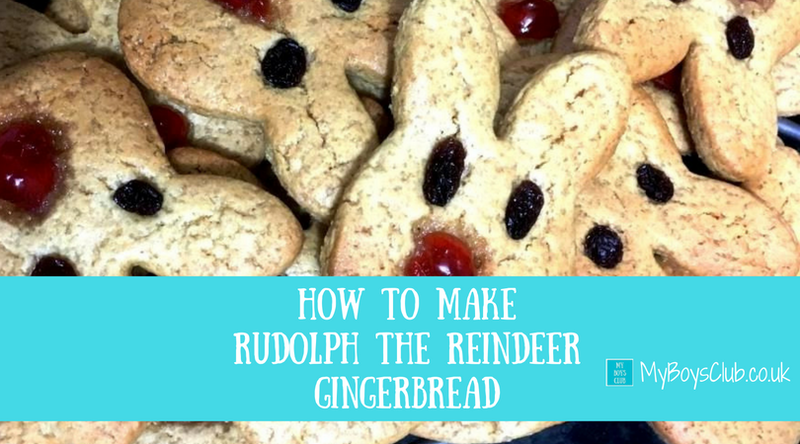 However if a gingerbread house seems a little daunting try making our Rudolph Ginger Bread Biscuits instead - they are really easy and your children can help too. As Christmas traditions go, making gingerbread with youngsters is definitely one of the most fun and time-honoured around the world. For a long time, gingerbread houses have been made out of home baked gingerbread dough to celebrate Christmas. The tradition began in Germany in the early 1800s and was inspired by the book “Hansel and Gretel,” in which two children abandoned in the forest found an edible house made of bread with sugar decorations. After the fairy tale was published, German bakers began baking ornamented houses of gingerbread similar to the one in “Hansel and Gretel.” The practice went on to become popular around the world . Gingerbread men are a favourite festive treat you can buy from most bakeries and supermarkets. And we all know how much children love gingerbread men so we have combined the popular Christmas tradition of gingerbread, with the popular biscuits, and using a 'rabbit' cookie cutter have created Rudolph the Reindeer Gingerbread. 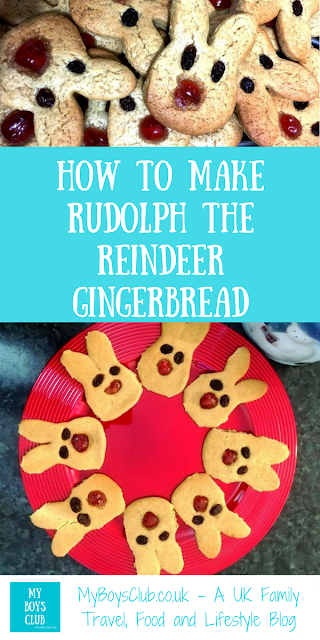 This is a really easy recipe for gingerbread and is great for baking with children. They would also make a lovely Christmas present. 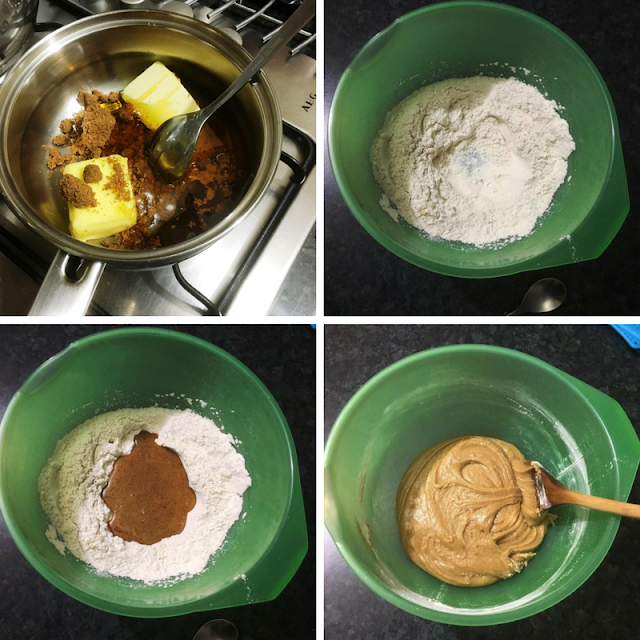 Add the sugar, margarine and golden syrup to a small pan and gently heat until all of the ingredients are mixed together. 2. Mix the remaining dry ingredients together in one bowl. 3. Add the warm mixture to the bowl and stir well. 4. Add the milk and keep stirring, then bring together, kneading it to form a dough. 6. Roll the mixture out to approx. 1/4 inch / 2-3mm and carefully cut Rudolph shapes - we used a rabbit cutter. 7. Use currants for eyes, and sliced glace cherries for Rudolph's nose. This is the bit the boys loved the most! 8. Place on a greased baking tray (I used reusable baking sheets) and don't place them too close as they will spread a little. 9. Bake for 10-15 minutes until they are golden. Remove from the oven, allow to cool and remove from the tray. 10. Store in an airtight tin and enjoy or wrap up and give as presents. What shapes would you make out of gingerbread for Christmas? These are so cute. I love baking ginger bread biscuits with my 4 year old. Thanks for joining #bloggerpinparty.